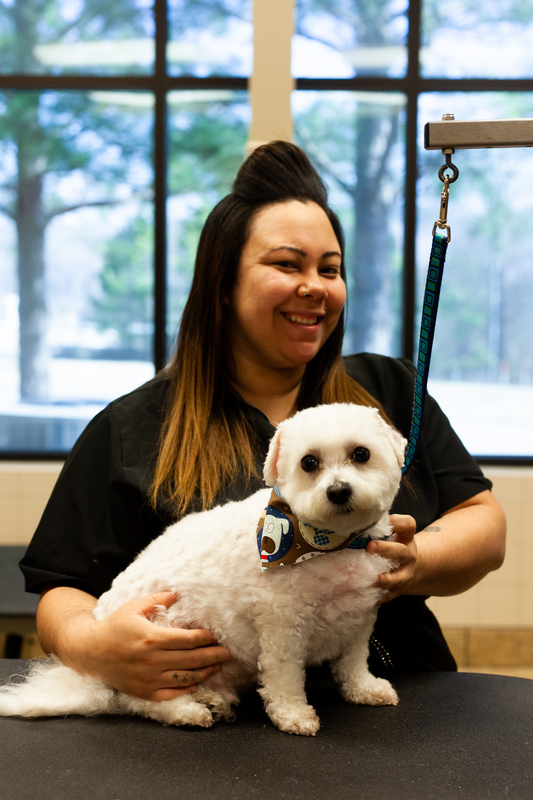 Delilah treats her pet grooming as not only a job, but a passion and a career. Delilah works to transform any scruffy pup into a Westminster champions all in one grooming! Delilah’s drive to give her clients the best service possible motivates her to maintain her grooming skills. As well as being a groomer, Delilah is also a mother of three children; two beautiful daughters and a rambunctious son. Delilah started grooming at the age of sixteen while living in Virginia Beach, VA. She became officially certified through a grooming academy at the age of nineteen. Delilah feels she has been blessed to see and experience the grooming field through different aspects and views; such as various mobile grooming techniques all the way up to managing a private salon. Delilah has used her experiences to grow into the groomer she is today. Delilah became creative color certified through CGA in March of 2017 in Atlanta, GA. She hopes to use her new color skills in the future while working with Complete Pet Care Hospital. Delilah is proud to be apart of the Complete Pet Care family, and looks forward to meeting each client that walks through the door.